As more and more early childhood development programmes are launched globally, we want to be sure they are integrated as well as possible into the very different cultural and contextual settings which exist globally. 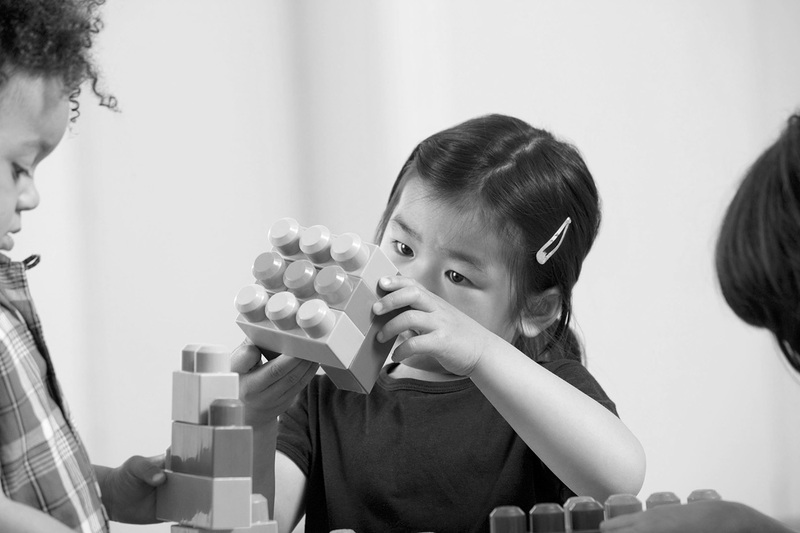 Many ECD programmes have been created first in WEIRD (Western Educated Industrialised Rich and Democratic) countries. Many of these programmes now have excellent evidence as to their effectiveness in low- and middle-income settings, such as Pakistan and Bangladesh. But does what works in Pakistan work well in Malawi? And how can we know before we start funding wide-scale programmes in such African settings? Detailed and considered feasibility and pilot studies are one way of understanding how implementation of ECD interventions can be conducted in the best way prior to scaling up. In order to conduct our detailed pilot and feasibility studies, we used the MRC framework for testing complex interventions which provides an excellent framework for understanding what types of methods can be used to assess implementation of programmes prior to future efficacy studies. Our research first looked at the structures and jobs allocated to community workers in Malawi in order to understand what might be possible for the implementation of early child development interventions there. We found that although Malawi had comprehensive and well-outlined structures for nutrition and ECD that advocated for integrated approaches, multidisciplinary interaction was working at central levels but not within the community. Integration of community health workers is limited by huge workloads, logistics and lack of synchronisation. While both ECD (child protection extension workers) and HSAs (health surveillance assistants) exist in communities throughout Malawi, their remits are different and task allocation is not always clear. Although ECD workers were better and more specifically trained, their reach and ability to cover the large number of at-risk children in all communities in Malawi is limited (See NYAS article)with workers paid through different ministries that do not coordinate roles of their workers. Our job analysis demonstrated that HSAs had a much wider reach but that they would be unable to do work in ECD due to the range of jobs which they are allocated to do for both adults and children, men and women. Understanding the reach of the workers within a programme, and the already existing infrastructure for workers within a region, is vital prior to commencing new programmes for ECD. I recently met up with Ruth Makwakwa, the National Coordinator for the Early Childhood Coalition, a network of civil society, faith and community-based organizations with interested individuals who are positioned to advance the implementation of Early Childhood Development (ECD) programmes in Malawi. The Coalition is re-invigorating the network and is likely to strongly influence the future implementation of ECD programmes in a more effective way in Malawi. The coalition had a strong presence at the recent training organised by the African Early Childhood Network (AfCEN) in Nairobi where a number of leaders learned to be trainers of Care for Child Development. The goals of the team are to develop and popularize ECD programmes, guides, and manuals, to ensure children with disabilities are included in ECD, and to create standards guiding ECD programme implementation. This is a huge step from where things were five years ago–and fantastic news. In Malawi, national trainers and district trainers are in place for rolling out the Care for Child Development interventions and the Care for Child Development training materials have been contextualised and made fit for Malawi. Through detailed qualitative work we aimed to understand the barriers and facilitators to promoting early child development interventions in low-income settings such as Malawi (See article). We used different qualitative methodologies (focus groups, participatory workshops, observational work and individual interviews) to ensure we could get a well-rounded view from parents and professionals and get to the heart of some of the issues for parents and families in integrating programmes such as the Care for Child Development Programme into their daily lives. Without doing this work, we may not have understood that the most pressing issues for parents related to their need to balance existing daily responsibilities against attending groups and providing a supporting nurturing environment for children. Without infrastructure providing a safe location for children to be, as well as a facility which may enable families to continue to work while their children are being cared for and nurtured, it is difficult to consider how programmes such as the Care for Child Development will work well. Although there are now multiple centres for ECD in Malawi (Community Based Child Care centres), these are targeted at children 3-5 years old and not younger children who also would benefit from supportive and nurturing care environments. Feasibility of an integrated programme – what and how to measure it? Ensuring that programmes consider good adaptation of materials, supervision structures and training programmes early on is vital to ensuring that programmes will work well. In these studies we did detailed analyses looking at recruitment rates and barriers to recruitment, fidelity of programmes (timings, location and structure of groups), supervision structures and support as well as whether outcome and evaluation measures would work for future implementation programmes. We did this without any extra incentives provided through the research for doing the work. The time is now ripe in Malawi for scaling up programmes which will be better integrated and supported through community structures for all children in Malawi. Dr. Gladstone is Senior Lecturer in Neurodevelopmental Paediatrics and International Child Health at the University of Liverpool. She is particularly interested to understand how interventions to support children in the early years can be inclusive of children with neurodevelopmental disorders and how these interventions can be used best in community settings. She also has led development of the IYCD (Infant and Young Child Development Indicators) for the WHO.